Indoor plants are not only beneficial to your wellbeing, but also to your health as some plants have the ability to clean and purify the air. Indoor air is easily polluted by common household products, fragrances, synthetic fabrics, pesticides and more. 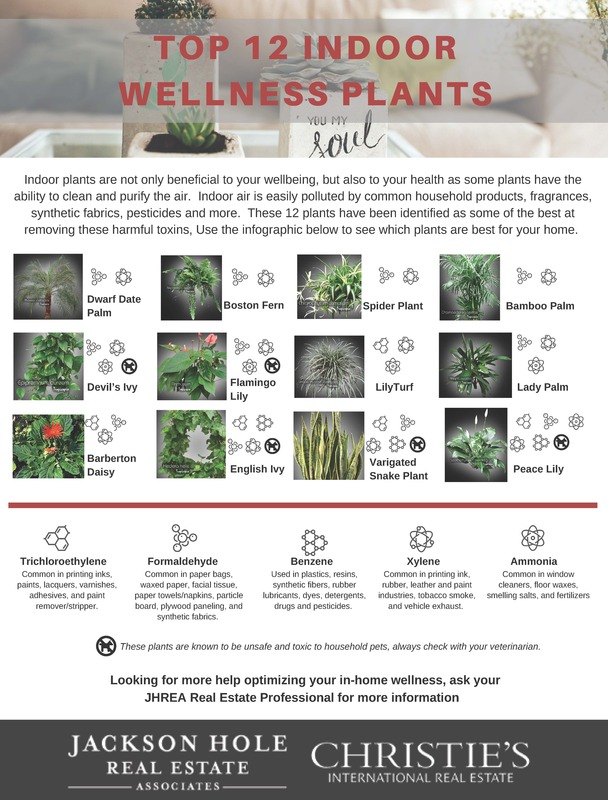 These 12 plants have been identified as some of the best at removing these harmful toxins, Use the infograhic below to see which plants are best for your home.